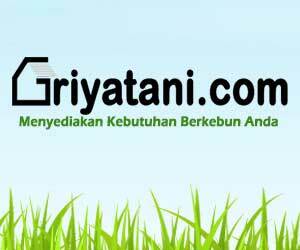 Greetings, all senior high school students across Indonesia! 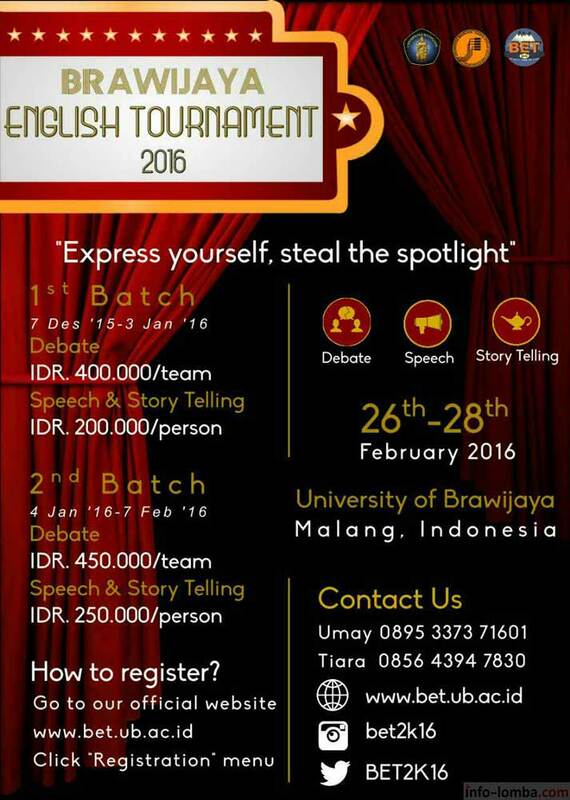 Your slot will be secured after the committee has received the registration fee. So what are you waiting for? Go secure your slot before they all run out! 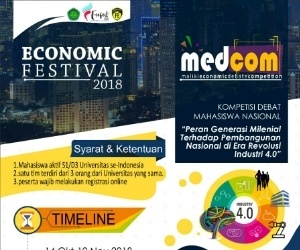 To register visit our website at http://www.bet.ub.ac.id and choose the Registration menu. "Express Yourself, Steal the Spotlight!" 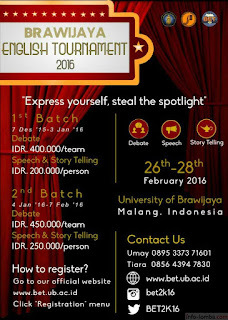 0 Response to "Brawijaya English Tournament 2016"